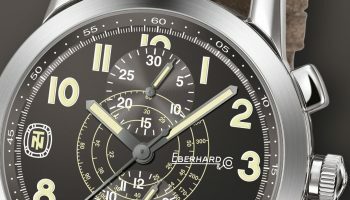 The deep bond between Eberhard & Co. and the world of classic cars, and in particular the legend of Tazio Nuvolari, has been commemorated with a unique tribute. 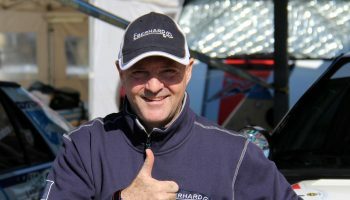 The Swiss watchmaker has once again taken inspiration from the superlative sporting history of the Mantuan driver, full of incredible anecdotes, unrepeatable performances and unbeatable records. The new model confirms the distinctly sporting look of the Tazio Nuvolari collection, with a diameter of 10.8 cm delimited by a polished bezel whose surface is treated in palladium. 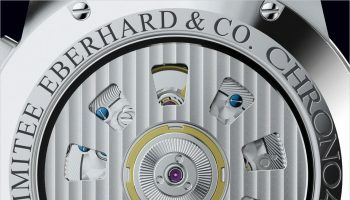 The clock is animated by a silenced quartz movement with striking seconds. 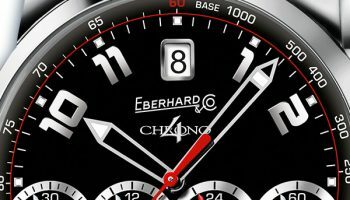 The flat mineral crystal reveals a black dial featuring a perlée area bearing 12 luminescent Arabic numerals with a red outline. Other details in red include the central seconds hand, the driver’s signature and the initials ‘TN’ on the white carapace in the central opaque black area. 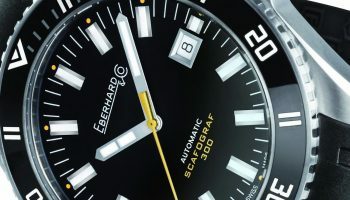 Red is also used for the stitching on the side of the watch in printed black leather. Tazio Nuvolari’s signature is engraved on the removable case-bottom. 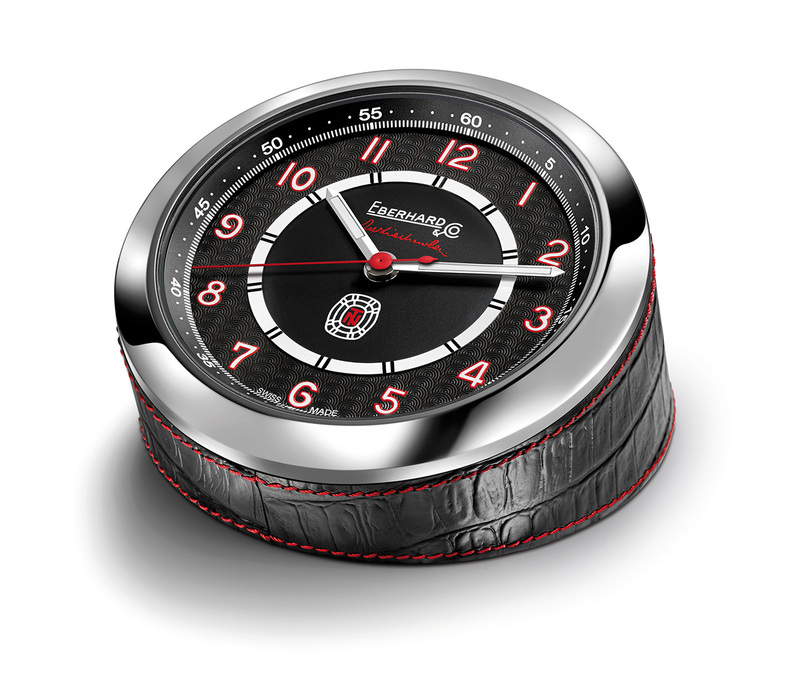 The Tazio Nuvolari desk clock confirms Eberhard & Co.’s refined aesthetic and its willingness to experiment in new areas, embracing the world of design.